Versatile design may be used as an award or recognition piece for participation in a variety of events or activities. 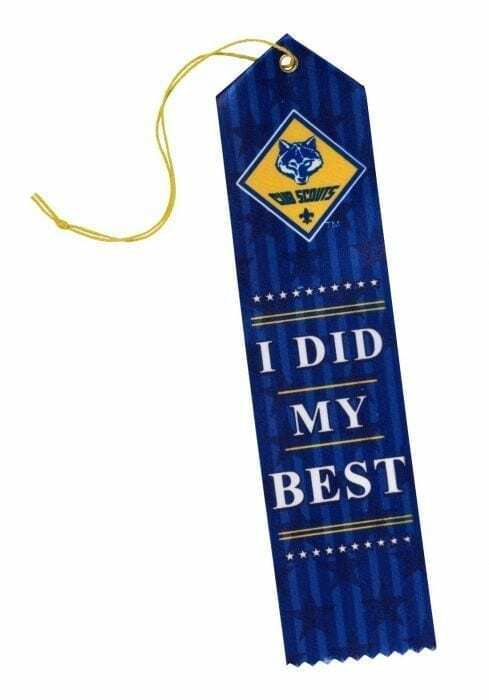 Award ribbon is sublimation printed with the Cub Scout logo and “I Did My Best” lettering on a blue star-scattered background. Each piece is pointed, strung with a tassel, and includes an event card on the back. Each ribbon measures 2″ – 8″. Sold in packages of 10.